Wild flower and trinitite. Trinitite is a metamorphic rock found in New Mexico. It was formed during the explosion of the world's first nuclear bomb, code-named Trinity, on 16 July 1945. Trinitite is an altered silicate resembling rough green glass. 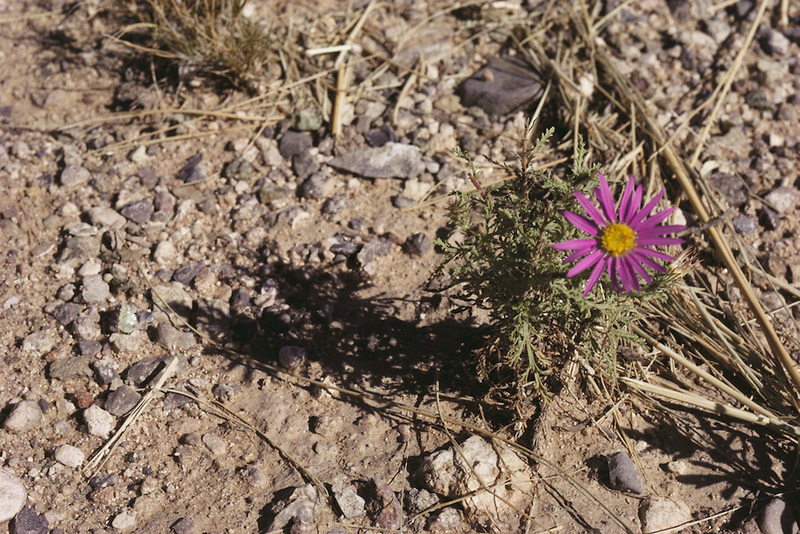 The extreme temperatures of the nuclear explosion melted the native sandstone soil. As the material cooled it formed a glassy structure. The greenish color comes from iron in the sand - the same iron, which as an oxide gave the original sand its reddish color. Most of the original radioactivity of the trinitite has gone in the last decades. First atomic bomb test site. (1984).